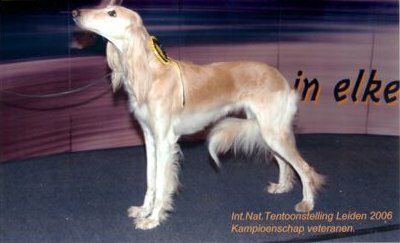 My first sighthound was a Whippet and a present of my parents for my tenth birthday. 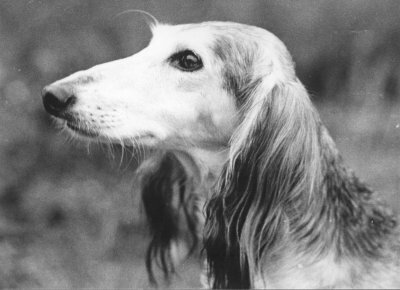 His name was Kafiristans Dappere Dodo and he lived till his 17th year. 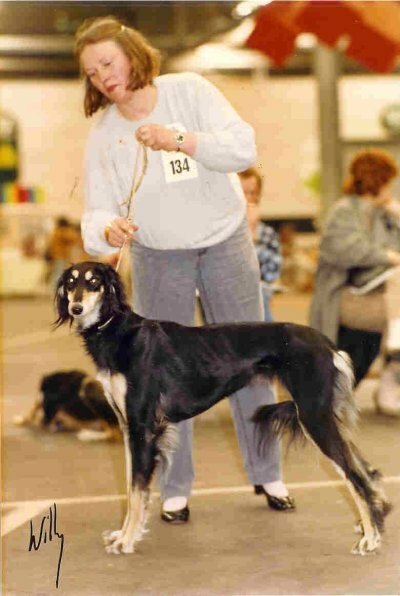 I loved him very much. 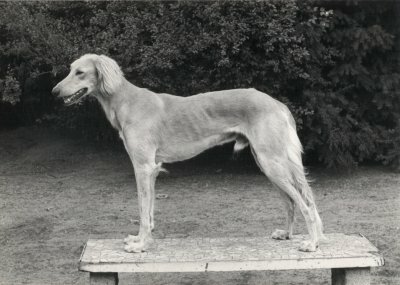 In 1973 I got my first Saluki, Duc, and later on his sire El Ezra at 7 years of age under certain circumstances. 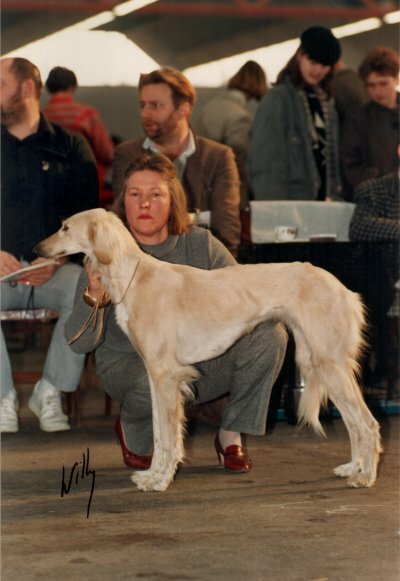 The 3rd Saluki was Chrughuy who was a great winner at shows, but he died too early. 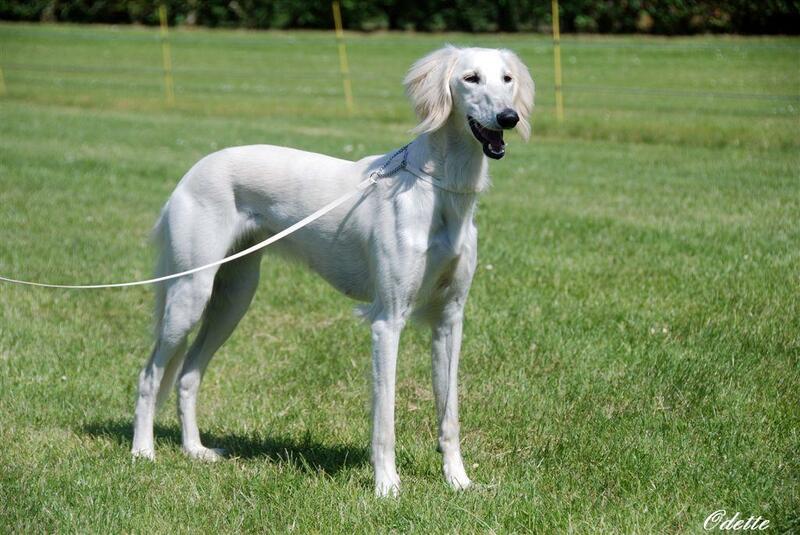 Cardamom was the second Saluki that I snapped up. 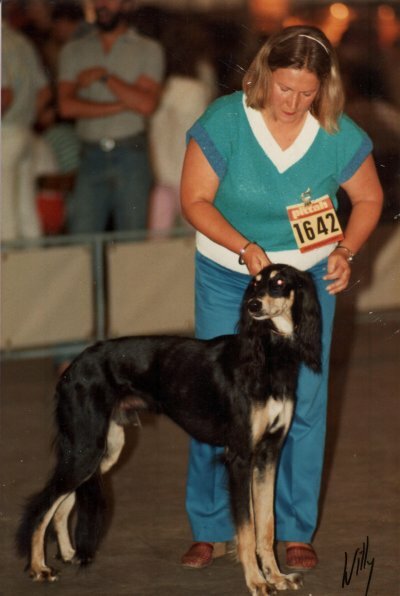 The two litter sisters I imported from England were scarcely shown. Dam: Int.Ch. 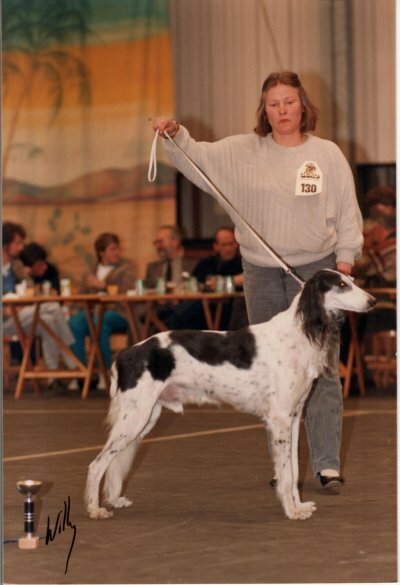 Black Gazelle of the Red-White Casino German Ch.